If we’re talking material gifts, what my daughter got the most of this Christmas was suitcases. Big duffel bags for the bulk of her belongings; a smaller, fancier weekend bag; coordinating accessories for said weekend bag. She got a fancy laundry tote, too. All of these items were given with next August in mind. Each time she unwrapped one, we laughed and yelled, “Merry Christmas! Get out!” I don’t think she was displeased, but neither does your typical nearly-18-year-old dream of duffel bags, y’know? That’s okay, because what we really gave her for Christmas was a metaphorical pair of scissors, hers to snip away at the safety net underneath her as she so chooses. I’m okay with it, really. I mean, it feels weird—really, really weird—after years of being the Mean Mom. I was always the Strict One. The rallying cry of “But everyone else’s parents—” has never bothered me in the slightest. I know my kids, I know their foibles, and I know our family’s values; we have rules (lots and lots of rules) and they are for everyone’s safety and growth. No apologies. And the truth, too, is that over the years those rules have been more plentiful and more restrictive when it comes to my oldest because there was no boundary she ever met that didn’t strike her as a challenge to vanquish. “Break the rule and the new rule will be even stricter” fell on deaf ears for years, even as I assured her my will would outlast hers and then cried, later, in private, wondering if it really would. Somehow—and don’t kid yourself thinking that I’m taking any credit here, because I’m not—we made it through. My once-angry, you’re-not-the-boss-of-me whirlwind is going to be 18 in a few months, and she’s an astounding young woman. She’s figured out what she wants and how to get it and how to live in an unfair world and still be happy more often than not. There’s still a trail of dirty socks throughout the house and we still bicker now and then and she’s not perfect, but she’s on the cusp of adulthood now. I could go on and on about what she can handle and how proud we are of her, but suffice it to say: I really like her. Not because I’m her mom, just because she’s funny and loving and smart and creative and a joy. When I went to college a million years ago, I remember meeting kids who had zero in the way of life skills. They’d never done their own laundry, never cooked a meal, and had no idea how to interface with their instructors without their parents there to mediate. I also remember meeting kids who’d been raised in very strict environments who embraced college’s freedom with both arms and usually a large keg. I felt sorry for both types of students, even then. Their parents weren’t doing them any favors. My kids have long been expected to acquire and practice basic life skills—they’ve been doing their own laundry and cleaning for years—but the freedom thing… well, it’s a vestige of a different time, sure, but I wasn’t so good with that. And I didn’t want to wait until she moves into the dorm to grant those freedoms, either. Originally we planned to loosen the reins this summer. That would make sense, right? School would be out, she’d have a couple months to “practice.” But then we realized that such a plan wouldn’t allow us (and more importantly, her) to see if greater freedom was compatible and manageable with the demands of “regular” student life. No, Christmas made more sense. So we gave her luggage, and she spoke (not for the first time) about wanting to upgrade her cellphone. 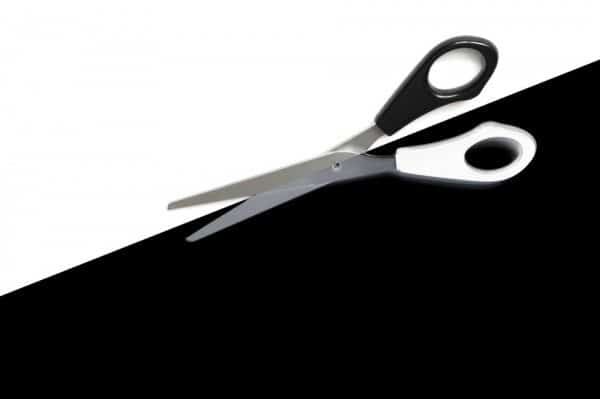 Out came those metaphorical scissors—do you have the money to upgrade? How important is it to you? If you calculate the total cost and pay for it, go ahead. So she did, and she paid for it, and now she has a nicer phone than my husband or I do, and I don’t know how many hours of babysitting it took to make that money, but it was her choice. Along with the new phone, we decided that it’s time for her to manage her own devices and online time. After years of parental controls and time limits and docking of devices in the family room each night, we backed off and handed it all over to her. Yes, you can take your phone into your room overnight. No, the wireless won’t shut off. Nope, we won’t be policing it in any way. But… what’s your game plan for still getting a good night’s sleep? How will you limit yourself in a healthy way? We’ve been juggling vehicles here ever since my daughter got her license. It hasn’t been too difficult, and we all knew she’d be buying my old car before college, but… how about now? Would you like to buy it now, have your own car for the end of high school, not have to ask every time you want to go somewhere? She balked at this one, at first—paying for her own gas didn’t actually sound as appealing as having us pay for it—but she came around. I got a new car and she dug into her savings and now the borrowed car is officially hers. Chores are being increased, some, as is fitting when you gain more privileges (more responsibilities). My Sunday night fill-the-pill-cases baton is being passed, and I’m pulling way back on various reminders. I’m stepping out of her way. She’s still on the tightrope, but I’m less worried about her falling. Will there be stumbles? Of course. Things are going to go wrong, because that’s how life works. (And, let’s be honest: there will be a night she stays up too late texting and Snapchatting and has a miserable morning getting up for school… and it will probably happen more than once.) But if I can step back now, before she’s gone, she can straighten out some of those wobbles here, at home, before she leaves. And if she falls—when she falls—she’ll get back up. She’ll figure it out. When my son came home at winter break his freshman year (last year), his Christmas gifts included laundry detergent, vitamins and other exciting necessities for the next 2 trimesters. Cutting the strings (or having them stretched so tight, they eventually snap) is hard but it’s amazing being a spectator to some great choices. I’ve been reading your blog for years, Mir, and this post just made me so happy for you and your family. I’m 36 and still haven’t lost the memory of how it felt when my mom let that safety net fall away. Exhilarating. Brilliant Mir, simply brilliant. Hardest thing I’ve ever done but something I’m most proud of. Halfway through Christmas break of freshman year with a college student who amazes me at every turn, but then not really, because I knew he had it all along!